Molly Ringwald and Juliette Lewis Join ‘Jem and The Holograms’!! The live action Jem and the Holograms movie has added 2 more cast members, Juliette Lewis and Molly Ringwald. Lewis is probably best known for her role in Natural Born Killers but released 2 albums with her band “Juliette & the Licks” before setting out on her solo career. Ringwald is best known for… frankly if you don’t know who Molly Ringwald is then I don’t know how to help you or your lack of pop culture knowledge. Production is already underway in LA on the film, which is based on the 1980’s Hasbro animated series about a young woman who transforms into a pop star with the help of high tech earrings and her best buds. The movie is being directed by Jon M. Chu, who already has some experience trying to being your childhood to life, having directed G.I. Joe: Retaliation. It is starring Aubrey Peeples as Jem aka Starlight Music owner/manager Jerrica Benton, Hayley Kiyoko as Aja, Aurora Perrineau as Shana, Stephanie Scott as Kimber and Ryan Guzman as Rio. 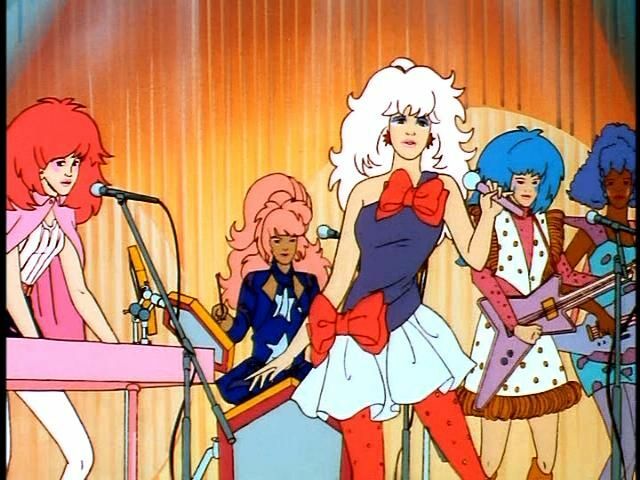 Aside from the main Holograms band members, the supporting cast has yet to be revealed, including who will play Jem’s omnipresent AI fairy godmother/holographic computer Synergy. Plot of the Universal pic sends online music sensation Jem and her Holograms on a musical adventure across Los Angeles. Lewis and Ringwald’s supporting roles are being kept under wraps, so fans can speculate away on who they’ll play. In fact- let’s! If Chu has any sense he’ll cast Lewis as the leader of the of The Holograms rival band the Misfits, Phyllis “Pizzazz” Gabor. And let us hope that Ringwald is going to be Synergy- as the present day personification of all things 1980s who better could there be to play a holographic fairy godmother? ‘Jem and the Holograms’ First Trailer Is Here! Who’s Excited?! Film Review: ‘Jem and the Holograms’! ‘Jem and the Holograms’ Gets a Cast!!! ‘Jem and the Holograms’ Get Live-Action Makeover!!! This entry was posted on Wednesday, May 21st, 2014 at 10:59 am	and is filed under Film, News. You can follow any responses to this entry through the RSS 2.0 feed. You can skip to the end and leave a response. Pinging is currently not allowed. « Paul McCartney Cancels Japan Tour!! All greatness comes from loss.